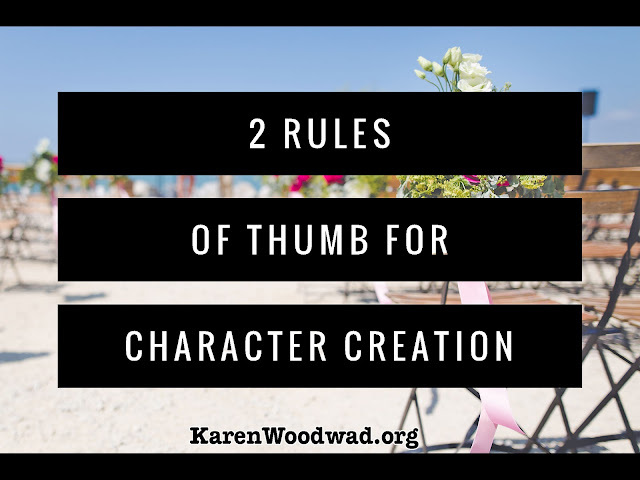 With NaNoWriMo around the corner I thought I'd go over two rules of thumb for character creation that have served me well. Readers need to be able to identify with your characters. You know that. In order for a reader to identify with your character the reader needs to feel she understands them. In order for that to be the case characters need to make sense. People might not make sense, but characters need to. Even when their desires conflict, they need to make sense. If they don’t, readers will become bored and stop reading. Characters, like people, are led by their emotions, by what they love and hate. If you don’t think you are led by your emotions that’s fine. Look at the people around you. Are most people led by their emotions or by their rationality? A friend offers me a piece of chocolate. I know I shouldn’t have that piece of chocolate because it will ruin my diet, but I still greedily devour every scrumptious calorie! Why? Because I love chocolate! I know how good it will taste. Even though it will mean I can’t fit into my new dress on my birthday I still eat the chocolate, and I really really want to fit into that dress. So why do I eat the chocolate? Because, despite what I tell myself and my friends, at that moment I love chocolate more than fitting into the dress. It’s all about emotion. Thought doesn’t rule emotion, it picks up after it. After I eat the chocolate I rationalize that even though I ate the chocolate I’ll be okay, I’ll still be able to achieve my goal of fitting into my new dress. All I have to do is exercise more. And then of course I don’t and it isn’t! How can we cash this insight out in our story? What do people care about? We care about our significant others and our friends, we care about food and comfort, we care about having fun new experiences, we care about the work we do. We care about beauty. We crave novelty. My friend, Sue, wants to be rich. Why? Because then she can afford to go travelling and have a beautiful apartment. When I was a teenager my friend, I’ll call him Brian, wanted to own a Chevrolet Camaro with leather seats and a top notch sound system. Why? Because he loved driving fast, thought the car looked beautiful and liked girls. Having a character who wants to rob a bank because then he’ll be rich is fine, but that needs to be grounded in the messy particularities of the character, what they love, what they hate. If someone is going to risk it all, you’ve got to show why that character passionately loves that thing and the only way to do this is to break it down and show what they love and what the hate. Get intimate with the character. Have them whisper their deepest, darkest, secrets to you and then, at the appropriate moment, splay them across the page. This kind of deep character development isn’t for the writer. These characters live inside us and so we know their intimate details. When I ask a writer, Would your character do X? They answer me right away, no hesitation. No, we make these things explicit for the reader. Because they don’t (yet) have the character living inside them. Here’s another article I’ve written on character creation: Be Fearless: Make Your Characters Real. What do you care about? You’ve got goals, perhaps you want to buy a home or earn a certain amount of money a year or spend next summer in Spain or lose ten pounds, but why? Dive into the particular emotions behind your goals. Do you want to own a home because it would make you feel secure? Do you want to lose weight because you want to find someone to love, someone who will love you back? 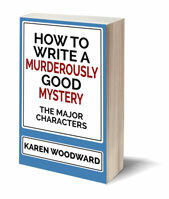 After you’ve done this, take those emotions and give them to the main character of your current work in progress. 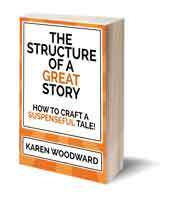 You don’t have to incorporate them into the story, you can just do this as an exercise. Take your main character and give him a mini-adventure, write a piece of flash fiction, where you give him or her your own goals. Then show the reader the messy loves and hates these goals emerge from. Today I would like to share a link to a book I have in my own digital library, The Emotion Thesaurus: A Writer's Guide to Character Expression, by Angela Ackerman and Becca Puglisi. Ackerman writes, "One of the biggest problem areas for writers is conveying a character's emotions to the reader in a unique, compelling way. This book comes to the rescue by highlighting 75 emotions and listing the possible body language cues, thoughts, and visceral responses for each." An excellent reference! I'll talk to you again on Friday. Till then, good writing!